Augusta, GA - Tiger Woods' big win was offset by the Masters' earlier-than-usual start, at least when it came to CBS' ratings. CBS' coverage of the final round of the Masters nabbed a 7.7 overnight rating, according to the network. It was the first time Woods won a major championship in 11 years. Woods' victory was also his fifth win at the Masters and his 15th major title overall. The preliminary ratings were down compared to the final round of last year's Masters, which nabbed an 8.7 rating. Even so, Sunday's event was the highest-rated morning golf broadcast in 34 years. And it was the highest-rated golf broadcast on any network since last year's Masters. CBS had to push up its broadcast due to stormy weather in Augusta, Georgia, the site of the annual tournament. Instead of teeing off in the afternoon, the final round aired live Sunday from 9 a.m. to 3 p.m. ET. CBS' viewership peaked from 2:15 to 2:30 p.m. ET as Woods captured the win on the 18th hole. Nielsen takes the percentage of households watching in 56 US markets and comes up with an overnight average. That means that 7.7% of households in these 56 markets tuned in to watch Woods' win. 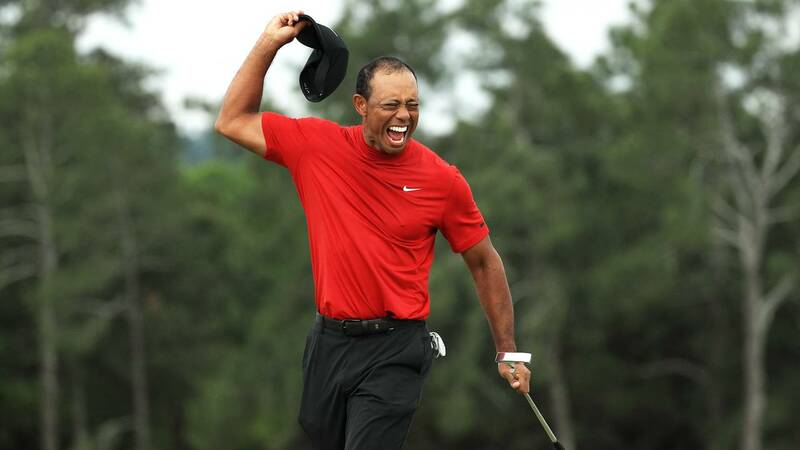 Woods, 43, is one of the most popular and well-known golfers in the world, and the win is a big comeback for him after a series of professional and personal setbacks. He underwent spinal fusion surgery to save his career in 2017.